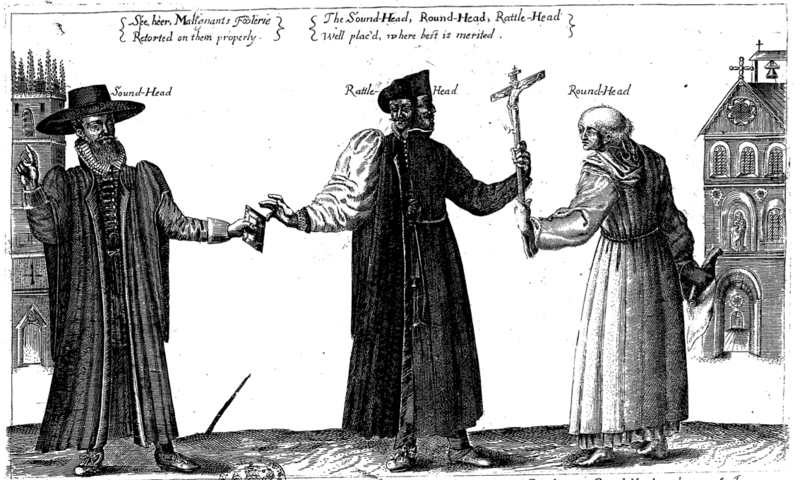 Of the Life, Reigne, and Death of William Laud, Archbishop of Canterbury. 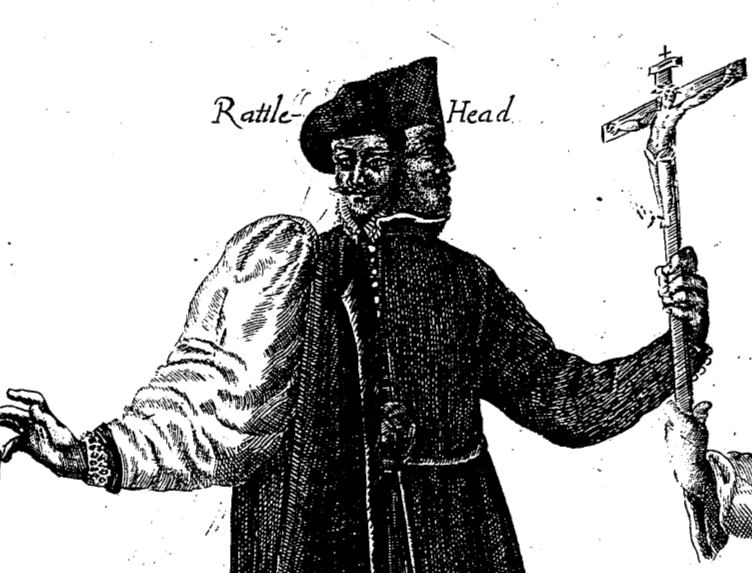 One of the anti-Laud tracts printed after the Archbishop’s execution. This one from 1644. 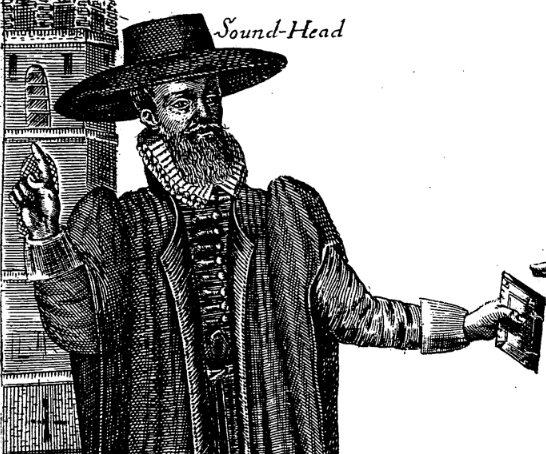 Poor Laud is depicted as the great beast with the number engraved on his forehead and a set of antlers growing out of his Canterbury cap. 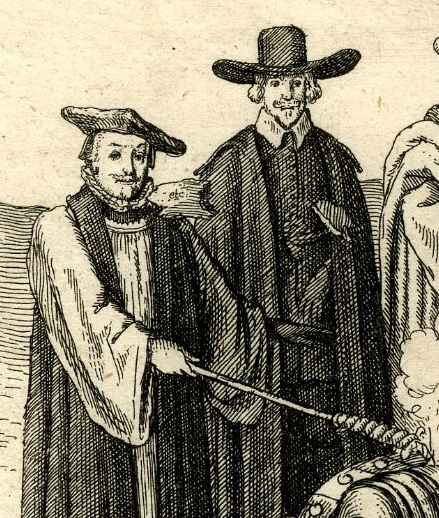 He’s wearing his bishop’s weeds, rochet and chimere with a starched ruff around his neck. 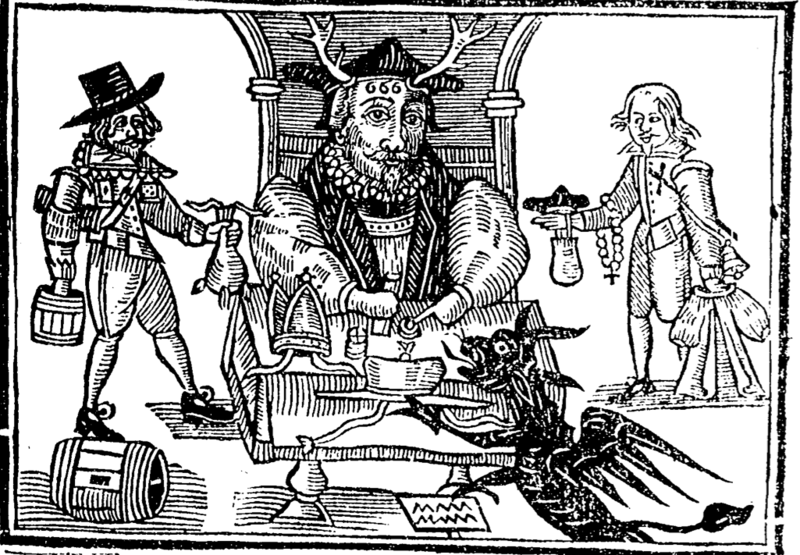 The guy on the right hand side offers some of the hated symbols of the high church, prayer beads, a crucifix, and the surplice, whilst the Devil proffers a cardinal’s hat He and the other chap, who is holding a barrel representing the monopolies that Laud was connected with, have short tabbed doublets, breeches, hose and shoes. Spot also the corded hat band. I’ve missed out a few pages, but these two are worth looking at. First the Court of High Commission and Star Chamber Courts being closed down by the Long Parliament. Both were long running institutions that had become unpopular. 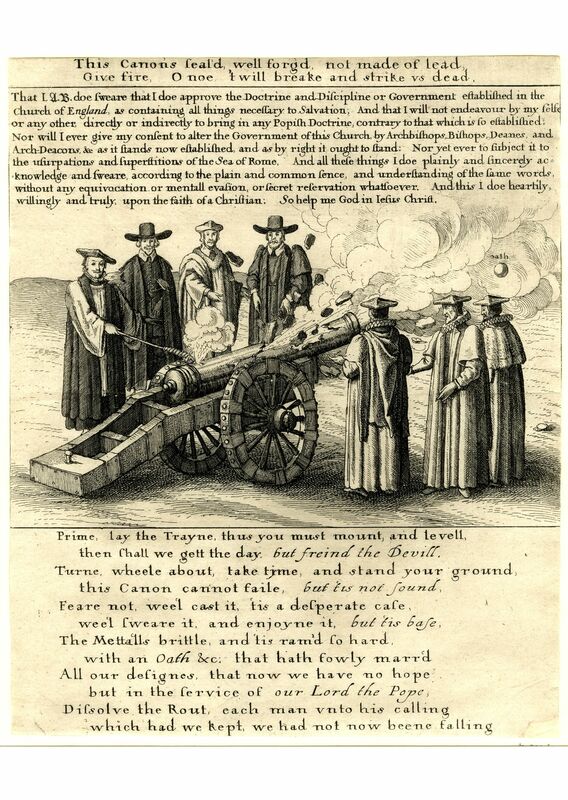 Charles had used the Court of Star Chamber as a means to raise revenue without calling parliament so was an obvious target for his opponents whilst the Court of High Commission as the supreme Ecclesiastical Court similarly attracted the anti-Laudians. 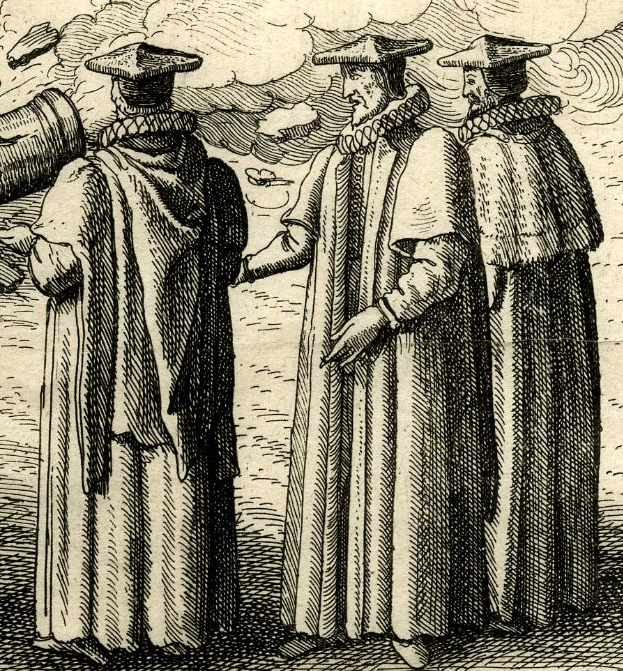 Anyway, here is a picture of the top bishops in the land in their white rochets and black chimeres, ruff collars and square canterbury caps. And here a group of workmen remove arms form the storehouse of a practising catholic. 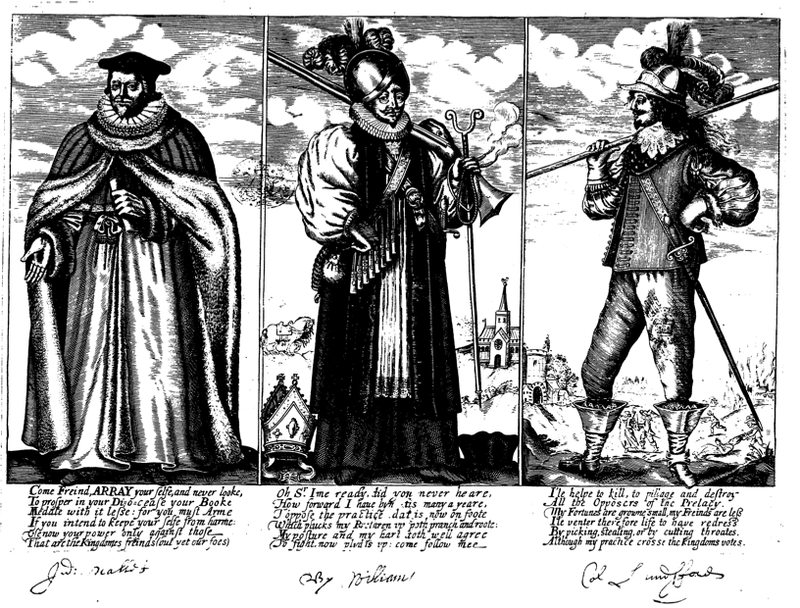 Presumably it wasn’t as easy as the operation shown here, but we see three simply dressed gents in doublet and breeches, and possibly the middle two in shirt and breeches. It’s tricky to tell which in this engraving, but they are making off with a stack of muskets, pikes and armour. 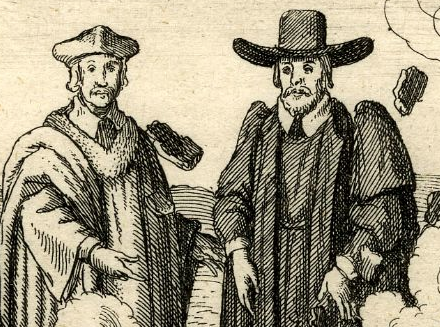 The guy at the front with the muskets looks like he’s wearing a knitted monmouth cap.